September 21 -- The Directors of TerraCom Limited (TerraCom or the Company) hereby request a trading halt to be placed on the Company's securities from the commencement of trading on Wednesday, 21 September 2016. The trading halt is requested pending an announcement by the Company in relation to execution of a material transaction. The Company has made announcements previously in relation to strategic acquisitions. September 21 -- Origo announces that it will be releasing its unaudited interim results for the six months ended 30 June 2016 (the "Interim Results") on Friday 30 September 2016. The Company currently expects the Interim Results to report only a marginal change in the fair value of the Company's investments, with total assets as at 30 June 2016 broadly in line with that reported as at 31 December 2015. Notwithstanding this, the Company's net asset value to be reported in the Interim Results is expected to reflect a reduction primarily due to the continued accrued rate of return relating to the Company's convertible zero dividend preference shares and operating costs during the period. 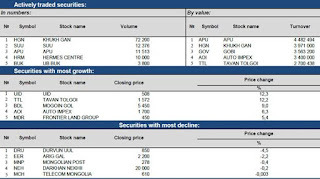 September 20 (World Economics) The Headline Mongolian Sales Managers' Index (SMI) fell back on its recent gains to post a value of 42.9 in September. This represents the first fall in the index value, as a run of 7 consecutive monthly gains has come to an end. The Market and Sales Growth Indexes both experienced sharp drops during the month which is also reflected in reduced business confidence levels and employment levels. Price deflation has continued to ease with sales managers reporting that they are close to raising prices as winter approaches and the strength of the Tugrik remains weak. September 13 (Oxford Business Group) Rising debt levels and a cooling economy are among the challenges facing Mongolia's new government; however, signs of modest recovery are apparent in some sectors of the resource-rich nation. The fall in commodity prices has seen the pace of Mongolia's economic growth tumble from a global high of 17.3% in 2011 to the IMF's forecasted 0.4% this year. However, with positive increases in sectors such as industry, banking and mining, the worst of the economic downturn could be over for the country. The Mongolian People's Party (MPP), which came to office with a landslide victory in the June election, faces a number of economic hurdles to overcome. Weaker commodity prices, combined with a series of disputes over major projects, saw foreign direct investment (FDI) plunge from a high of $4.5bn in 2012 to just $121.5m last year and tax revenue decline due to delayed developments. Added to lower revenue levels, the new government will also have to contend with high levels of commercial debt, $1.2bn of which will have to be paid out or rolled over within the next two years. Combined public and private debt nearly doubled from $11.7bn in 2012 to $22.6bn at the beginning of this year. The new government took office on a platform of reducing debt without cutting back on essential services while also encouraging domestic and foreign investment, particularly geared toward the minerals sector. During a cabinet meeting in August, Prime Minister J. Erdenebat said greater focus had to be directed towards attracting domestic and foreign investment, rather than funding recovery through loans or aid. With its credit rating lowered by Moody's to "B2" in January, Mongolia's borrowing costs have been rising this year, underscoring the need to draw in FDI rather than relying on financing. While faced with significant economic challenges, the MPP also inherited an economy showing some signs of modest recovery. The industrial production index increased strongly in June, with output rising 3.1% over the previous month, and by 10.9% year-on-year (y-o-y), local media reported in late July. Production growth was mainly driven by increases in mining and quarrying, which includes iron ore, coal, copper and crude oil, in the second half of the year, up 7.3% y-o-y; however, production expansion was curbed by falls in the construction sector and the building materials segment. Another positive came from the Bank of Mongolia, which reported in late July that there had been a jump in loan activity at the end of the first half of the year, as credit flows increased and bad and overdue debts eased. As of the end of June, outstanding loans were up by 5.1% month-on-month at MNT12trn ($5.6m), albeit just 0.6% higher y-o-y, indicating sluggish lending growth over the past year, the bank said. 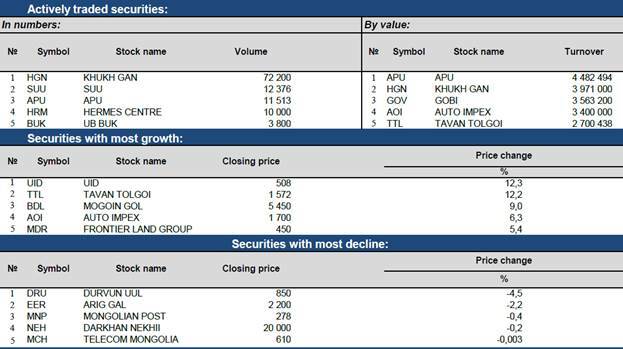 While non-performing loans in the Mongolian banking sector were up 33.8% y-o-y at MNT1trn ($466m) in June, month-on-month figures showed a small improvement, with NPLs falling by 2.6%. Inflation is easing as well, in part on the back of weaker domestic demand, with the Bank of Mongolia reporting that core inflation measured 2.9% y-o-y in July, down from 7.3% one year earlier. There was also an improvement in the balance of trade. Exports remained steady at $1.9bn in the first half of the year, while imports fell by 18.86% to $1.3bn. This took the trade surplus for the first six months to $610m, double that of the first half of 2015. Despite the positive developments in mining and trade, prospects for continued recovery are mixed. Jean Sébastien Jacques, CEO of UK-Australian mining giant Rio Tinto, warned that the recovery could lose steam, as much of the commodities boom was being driven by credit-fuelled construction activity in China. "Growth in China has stabilised, but it is on a long transition path of slower and less commodity-intensive growth," Jacques said in a company statement in August. "Meanwhile, the global economy seems stuck in a subdued low-productivity growth pattern, which would indicate that continued caution is required for the second half of 2016." These comments have particular relevance for Mongolia. Not only is China its largest export market, but Rio Tinto operates the largest mine in Mongolia, the Oyu Tolgoi gold and copper mine. 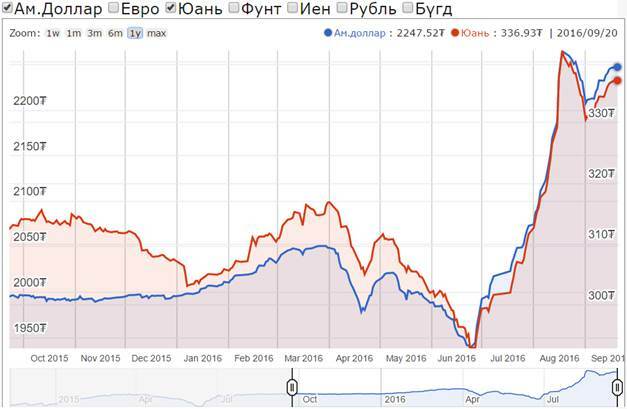 Though Rio Tinto has voiced concern over the sector's short-term outlook, the company – one of Mongolia's largest foreign investors – announced in May it would push ahead with the second phase of Oyu Tolgoi. The company plans to spend $5.3bn on developing the mine's underground copper deposits, with the first extraction to take place in 2020. September 21 (gogo.mn) On Sep 20th, Prime Minister J.Erdenebat met with delegations of banking and financial sectors and decided to continue issuing 8% mortgage loans to residents, adding that limit on size of the housing will increase to up to 100 square meters. Previously, the limit on size of the housing was up to 80 square meters. Minister of Construction and Urban Planning Ts.Munkhbayar has proposed to increase the limit on size of the housing to 120 square meters. However, PM set a limit of up to 100 square meters. 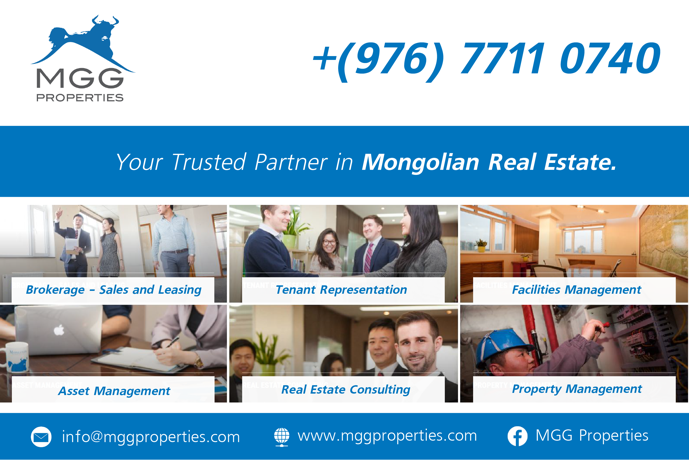 Currently, 8000 new housings are available for mortgage loans in Mongolian market. Also, 25 thousand new apartments will be commissioned in near future. Change in mortgage loan regulation is expected to bring positive result in housing sales. As of today, commercial banks are not granting mortgage loans due to lack of financing. PM noted that we are seeking new financial resource for mortgage loans. In addition, PM stated that residents aiming to buy housings, more than 100 square meters, are able to get 8% mortgage loans by paying additional payments except 30 percent deposit. It will be the next major change in mortgage loan regulation. However, the regulation have not yet approved which is being developed by the Bank of Mongolia and Ministry of Finance. Ulaanbaatar, September 21 (MONTSAME) This documentary has been created with the support of the International Republican Institute and the Ministry of Foreign Affairs of Canada, inspired by the challenges and obstacles facing 6 women candidates during their campaigns for the 2016 parliamentary elections of Mongolia. The creation was officially released to the public on September 20 at Tuushin Hotel. Present were, Ambassador of Canada Ed Jager and the Resident Representative of the IRI to Mongolia Ashleigh Whelan, and other related figures of politics, gender equality, economic institutions and civil societies, along with the election candidates, who appear in the documentary. The documentary chronicles the experience of women in the political process and showcases barriers they face through the perspectives of six candidates: B.Saranchimeg (MPP), Ts.Oyungerel (DP), L.Selenge (MPRP), D.Badamkhand (CWGP), M.Narantuya (independent candidate) and B.Munkhsoyol (NLP). Additionally, commentaries from well-respected activists of political, economic, civil society and gender backgrounds are featured in the film. "IRI began implementing the "Supporting Women's Participation in Elections" program in December 2015 with financial support from GAC. As part of the program, IRI has partnered with female candidates, political party leaders, and representatives of civil society organizations to support women's political participation. IRI began working in Mongolia in 1992, providing assistance in parliamentary development, political party development and electoral capacity improvement. In addition, IRI supports Mongolia's democratic development through programs that strengthen effective governance, foster inclusive elections and support the new generation of political leaders", said IRI in the press release of September 19. Mr Jager applauded the success of 13 women, who were elected to the parliament by the latest elections, contrary to the expectations caused by the changes made to the election law of Mongolia. He also emphasized the Canadian Embassy's two key priorities in cooperation with Mongolia are sustainable economic growth and enhancing democracy. According to the Gender Inequality Index (GII) report, women constitute 21.9% of the legislative power in the world. However, in Mongolia, the women's inclusion in the parliament was 14.5% between 2012 and 2016, which indication is several times lower than that of the other developing democracies. Women makes up 51% of the population of Mongolia. 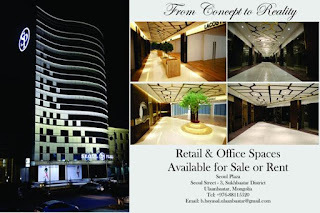 Due to the slowdown of the local economy, the office spaces and commercial spaces at the Central Tower in Ulaanbaatar (a 51%-owned property) recorded declines in yields of 27% and 23%, respectively during the period. The hotel in Ulaanbaatar (opened for business in June 2015) recorded an increase in occupancy of 6 percentage points and ADR of 3%. However, net loss of the hotel increased by US$2.8 million during the period as a result of the increase in depreciation charge by US$5.0 million. September 21 (gogo.mn) Our report team has visited the harvest field of Selenge aimag, which covers total of 305,5 thousand hectares of land, owned by 280 entities and 149 citizens. Selenge aimag plants grain, feed and oilseeds in 160 thousand hectares of land per year while uses its 140 hectares of land for cultivation. This year, Selenge aimag have planted grain, feed and oilseeds in 176 thousand hectares of land which needs 20-28 days to harvest. Farmers stated that we have left only 10 days of harvesting. However, everything depends on the weather. September 21 (Forbes) As China and Kazakhstan invest heavily in developing their joint free trade zone at Horgos, another cross-border economic zone is getting underway 2,500 kilometers to the east. Construction broke ground on the $135 million China-Mongolia Cross-border Economic Cooperation Zone on September 19th. This is to be an 18 square kilometer expanse that stretches from Erenhot (Erlian) in China's Inner Mongolia across the frontier to Zamyn-Uud in Mongolia. This economic zone is the result of a deal that China and Mongolia signed in 2015, which evenly delineated nine square kilometers on each side of the border for the endeavor. While construction on the zone isn't expected to be completed until 2018, 50 companies are expected to be operating there by the end of the year. This free trade zone is a key part of a much larger initiative to establish a China-Mongolia-Russia economic corridor to further integrate the three countries infrastructurally, economically, and, to a certain extent, politically. Deriving from a memorandum of understanding that was laid out in July 2015 and signed into existence this June, the economic corridor is becoming one of the primary thoroughfares of the Belt and Road — a web of enhanced trade routes extending from China to Europe. It will facilitate the creation of improved transportation — integrating Mongolia's Prairie Road program, Russia's transcontinental rail and road systems, and China's overland transportation network — provide more efficient border crossings and customs procedures, create preferential trade policies, and increase opportunities for international business within its realm. 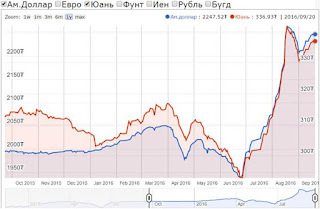 "24.6 trillion kilos of freight were shipped between China and Russia and Mongolia last year alone. Upwards of 80% of Mongolia's export value goes to China and a third of the country's imports come from China — in fact, three-quarters of Mongolia's economy was found to be reliant on its neighbor to the south, according to an IMF report in 2012. China is also Russia's top trading partner, accounting for roughly $40 billion worth of exports and $50 billion in imports each year." As of now, the China-Mongolia-Russia economic corridor has two main routes: one that extends for 2,264 kilometers from Choibalsan through Manzhouli to China's Dalian port, and one that goes for 1,963 kilometers from Ulaanbaatar to the Port of Tianjin via Erenhot. 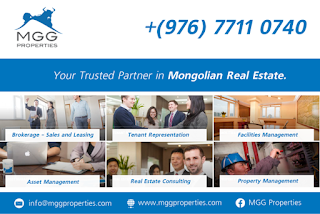 These routes provide Mongolia, a landlocked country, with access to the sea at two key locations as well as better integration with key cities throughout the northeast of China and beyond. I first visited Erenhot in 2006. At that time there was basically nothing there but a border crossing to Mongolia and two giant fiberglass statues of dinosaurs arching over the highway. I stumbled into town from the highway after hitching a ride and soon found myself walking through a completely vacant, albeit newly built, residential area. Row upon row of new housing sat empty, with desert sands creeping up their walls. Four years later this place would gain infamy in the international media for being one of China's ghost cities: "This city was built in the middle of a desert . . . Half of Erenhot is empty. The other half is unfinished," rang an article in Business Insider. While this statement technically wasn't correct — the core of the town was fully populated — it did hit at a fundamental fact: this was a far-flung border post that was undergoing rapid development by fiat. I'm the author of Ghost Cities of China. I'm currently traveling the New Silk Road doing research for a new book. Follow by RSS. September 21 (MFA of China) At the invitation of President Xi Jinping, President Alexander Lukashenko of the Republic of Belarus will pay a state visit to China from September 28 to 30. Q: According to media reports, advisor to Mongolia's Ministry of Road and Transportation Development said on September 20 that the Belt and Road initiative will facilitate the building of the China-Mongolia Economic Corridor and provide new opportunities for Mongolia to start new railway programs. Mongolia plans to build 550 kilometers of new railways and extend the existing railway in the next 4 years in order to connect to the China-Europe trade route. What is your comment? A: The Belt and Road initiative is proposed to enhance connectivity of the Eurasian continent, and facilitate the diversification of economy, energy and trade routes of inland countries. This will help countries along the belt and road create domestic demand and job opportunities and improve people's well-being. Since the Belt and Road initiative came into being three years ago, remarkable progress and achievements which are well beyond our expectation have been witnessed by all, and widely supported and recognized by nearby countries. As the first multilateral economic corridor set up under the framework of the Belt and Road initiative and a shining example of multilateral openness and cooperation, the China-Mongolia-Russia Economic Corridor is significant in promoting China-Mongolia-Russia trilateral cooperation and regional cooperation in Eurasia. We are willing to work alongside Mongolia and other countries to proceed with pragmatic cooperation on infrastructure connectivity and bring tangible benefits to people's well-being. Ulaanbaatar, September 21 (MONTSAME) The Spokesperson of the Ministry of Foreign Affairs made Tuesday a statement condemning a brutal attack of an armed group, which took precious lives, in Uri of Jammu and Kashmir of India. It reads: "Mongolia expresses deep regret that the armed terrorists brutally attacked the military complex in Uri, Jammu and Kashmir of India in the morning of 18 September 2016 and dozens of army personnel were killed and injured. While extending condolences to the victims and their families, Mongolia firmly stands that the terrorist attack must not be a disruption of efforts for strengthening the regional stability and mutual understanding in the region". Ulaanbaatar, September 21 (MONTSAME) Day of Peacekeepers was celebrated on September 20 at the National Park. During the ceremony, the motorized infantry battalion commanded by Colonel B.Baatar and served in the UN peacekeeping UNMISS operation in the Republic of South Sudan and second-stage field medical division commanded by Lieutenant Colonel G.Tungaamaa and served in the UNAMID by the UN and the African Union in Darfur of Sudan were awarded state merit orders. Colonel B.Baatar and Colonel J.Munkhtur were handed the Order of Red Banner of Military Merit, Lieutenant Colonels G.Tungaamaa, J.Sukh-Ochir, N.Baasan, E.Munkh-Orgil and S.Batbuyan and Major R.Bayanmukh were awarded Order of Military Merit. Other militants were handed over the medals of honors and orders for peace. Ulaanbaatar, September 21 (MONTSAME) Minister of Foreign Affairs Ts.Munkh-Orgil, on the sidelines of the 71st UNGA session, had a meeting with his Azerbaijani counterpart Elmar Mammadyarov on September 20 at the UN Headquarters. The dignitaries underlined an importance of the exchange of high-level visits for consolidating bilateral ties, and shared opinions on ways towards the goal. Minister Ts.Munkh-Orgil gave information on the functions of the International Think Tank for Landlocked Developing Countries, which was established in 2009 in Ulaanbaatar, and highlighted the significance of effective studies and analyses on the challenges and obstacles that face the LLDCs. He hopes that Azerbaijan would shortly ratify the Multilateral Agreement on Establishment of the International Think Tank for LLDCs. The FM of Azerbaijan pledged to study the possibilities and take necessary actions. September 21 (gogo.mn) We deliver you the statement of Mongolian President Ts.Elbegdorj at the general debate of the 71th session of the United Nations General Assembly. He delivered remarks on the sustainable development goals: a universal push to transform our world. "I am proud to serve for my country upon the free will of our people. Mongolia is governed by democratic rules. The President has a constitutional term limit. So, my mandate ends next year. But, the people of Mongolia will continue to be citizens of the global community together with all nations. I am proud that my country is a good friend and partner of every member State of the United Nations. Achieving sustainable development is essential. Because no one in the world should be left behind and deprived of the right to development. We must work together towards a world where everybody can have a dignified life, free from poverty, violence and depression. I firmly believe that justice, stability and security cannot be guaranteed without the rule of law and respect for fundamental rights and freedoms for all. These basic principles must be respected and protected in every country by all governments. The United Nations turned 70 at the time of turbulence. Today, we all witness many conflicts and terrorist attacks which became almost everyday news headlines. The world has its largest-ever humanitarian crisis, including millions of people displaced from their homes. The slowdown in global growth, and rising tensions in many places have threatened further progress. However, the intervening period was a year of inspiring collaboration as well. In some places, a long fought war is over. Peace agreements are reached. The development of dangerous weapons is restrained. The power of diplomacy has prevailed. Last year, we all together launched the 2030 Sustainable Development Agenda universal action plan for people, peace, prosperity and partnership. In December in Paris, the world turned a new page to combat climate change. As a global community, we are following a new roadmap on our next 15-year journey. The Agenda 2030 and the Paris Agreement provide clear guidelines for achieving what we have promised to do. We now must act together as we take responsibilities for the people. We now must boost our partnership to save the planet. We now need the resources to put this plan into action. Mongolia will ensure that no one is left behind, by reaching out to the most vulnerable first. The principles and policies of the 2030 Agenda have been translated into our national strategy. The Sustainable Development Vision of Mongolia 2030 is in action. Our agenda calls for the establishment of a diverse and inclusive economic structure. That is for increasing decent jobs and providing opportunities and income generation. Our goal is for improving quality of life and ensuring environmental sustainability. Equally essential is cooperation between and among governments, international development communities, the private sector, and institutions of the civil society. From our past experiences of implementing Millennium Development Goals at the national level, we learned that regular follow up and review mechanisms are essential to achieving the SDGs. Therefore, accountability and the quality of governance will eventually define the success of SDGs. Ulaanbaatar, September 21 (MONTSAME) On September 28 and 29, an international conference 'Chinggis Khaan, His Legacy and Indian Culture' will be held in Ulaanbaatar. The Indian Council for Cultural Relations (ICCR) in partnership with Ministry of Foreign Affairs and National University of Mongolia are organizing the conference. "This conference will be the first major interaction between the 'think-tanks' of India and Mongolia in recent years. The conference is a unique event which would explore Chinggis Khaan, His Legacy and Indian Culture through the eyes of Indian and Mongolian scholars. A 20 member delegation led by Prof. Lokesh Chandra, President of ICCR will participate in this academic event. During the course of the event a full set of Kanjurs, edited by Prof.Lokesh Chandra and published in India will be donated to Buddhist monasteries and other academic institutions' highlighted Ambassador of India to Mongolia Suresh Babu. The conference will have five sessions including Traditional image of Chinggis khan; Chinggis khan and modern Mongolian identity; Buddhist dimension and Indian culture; Geopolitical implications; and Economic prospects of Mongolia and India. Mr Ram Madhav, National General Secretary of the ruling party in India and some members of Indian Parliament will participate in the conference besides Indian scholars from different universities and regions. The conference will be preceded by a photo exhibition on September 27, at the Art Gallery of Union of Mongolian Artists. Photos to be displayed at the exhibition will show relationship of Mongolia and India, Chinggis khaan's legacy, culture and tradition of Indians with Mongol origin and Indian crafts, explained O.Nyamdavaa, president of the Centre of India Studies. September 21 (Reuters) Two Mongolian wrestling coaches who stripped off in protest at the judging at last month's Rio Olympics have been suspended for three years, the sport's international federation said on Wednesday. The Mongolia wrestling federation was also fined 50,000 Swiss francs ($51,366.34), United World Wrestling said on Twitter. Tserenbaatar Tsogtbayar and Byambarenchin Bayaraa undressed and hurled their shoes when their wrestler Mandakhnaran Ganzorig was denied victory for avoiding his Uzbek opponent in the dying seconds of a bronze medal contest. Ganzorig, leading Ikhtiyor Navruzov by seven points to six, taunted his opponent by dancing around him in the last 18 seconds of their 65kg match and was then carried around the ring in triumph by one of the coaches. But the judges adjusted the score to 7-7, penalising the Mongolian for 'fleeing the hold', and added a further point to the Uzbek's score after a challenge from the Mongolian corner was rejected. The two Mongolian coaches advanced towards the judges, stripped off their shirts and shoes and hurled them to the floor. With the crowd erupting, one then took off his tracksuit bottoms and remonstrated with the judges wearing nothing but a pair of trunks. The incident, on the final Sunday, provided one of the memorable moments of the Olympics. September 21 (news.mn) 'Great Move' international chess tournament will start tomorrow (22th of September) in the Mongolian capital, Ulaanbaatar. The tournament is organized by the World Mongolian Nations Association with the support of the Mongolian Chess Federation as well as the Ministry of Education, Culture, Science and Sport. The Men's 'A' section of the round robin can be proud of having ten Grandmasters from Russia, Kazakhstan, Uzbekistan and Mongolia. In the Men's 'B' section of the round robin 'B class' players (up 1700 points) will compete. Players will compete in women's, men's, children's and senior categories. The tournament procedure is 90 minutes for the first 40 moves, followed by 30 minutes for the remainder of the game with an addition of 30 seconds per move. It will give rating points and prizes to international players. 'Great Move' offers more prize money than other tournaments; the winners' prize for first place is USD1500; second - USD1250 and third - USD1000. The 'A' section tournament will be held from 22nd to 27th of September and 'B' section on 28th September at the building of the World Mongolian Nations Association. September 21 (news.mn) Mongol TV's reality television series "Mongolia's Got Talent 2016", part of the global "Got Talent" Franchise, begun its second season in September. More than 2000 contestants from the every corner of Mongolia have registered for this year's "Mongolia's Got Talent". Open auditions for the show took place in Dornod, Khovd provinces as well as Darkhan-Uul and Ulaanbaatar city twice from January to April. The show has no age limits. The oldest contestant is 80 years old and the youngest are 3 or 4 years old. This series sees the first golden buzzer. During the auditions, as well as the standard buzzers, there was a golden buzzer placed in the centre of the judges' desk. Each judge is allowed to press this buzzer only once, sending the contestant straight through to the live semi-finals regardless of the opinions of the other three judges. The two anchormen have also been given the opportunity to press the golden buzzer. The largest group contesting is the 'Duu khugjim' choir which has 60 members. The show contains the following categories: song, dance, music, circus, magic and sport categories. 50% of all contestants sing a song and 20% perform in a group. The show has been viewed on Youtube more than 20 million times. Three contestants from the previous season have received an invitation from the international company. Mongolia is the 68th country, airing Got Talent show. September 21 (gogo.mn) New season of The Mongolian State Academic Theater of Opera and Ballet will open from Oct 4th with the joint concert by Mongolian and Russian artists. Tickets for the all performances of 54th season are available now at the ticket office of the Mongolian State Academic Theater of Opera and Ballet. Technically, ticket prices vary by location and prices are set at MNT 10,000, 20,000, 30,000 (USD 5, 10, 15). Below is the Program for October, 2016. Ulaanbaatar, September 21 (MONTSAME) The exhibition opened on September 13 in Vienne to last until October 4. Initiated by Mongolist Dr Catherine Lang the exhibition is co-organized by the World Museum of Vienna, The Austrian Art History Museum, the National University of Mongolia, the Mongolian University of Science and Technology, Kharkhorin Museum and the Palace Museum of Bogd Khaan. The exhibition is displaying artifacts collected and photographs taken by Austrian explorer Hans Leder during his expedition through northern Mongolia in 1843-1921. Showpieces include household items and religious objects, used at that time. The opening ceremony was addressed by Ambassador of Mongolia to Austria G.Batjargal, director of World Museum Vienna, Dr Steven Engelsmann, Managing Director Vienna Science and Technology Fund (WWTF), Dr Michael Stampfer the project leaders, Dr Catherine Lang and B.Tsetsentsolmon. In its margin, Austrian writers will make presentations about their own creations and Khamba Lama (higher rank of Buddhist clergyman) of Erdenezuu Monastery of Mongolia Baasansuren is to give a lecture. September 21 (CNN) A century ago, a turbulent Russia was only months away from the simmering discontent among the impoverished peasant population that erupted into the Bolshevik Revolution.